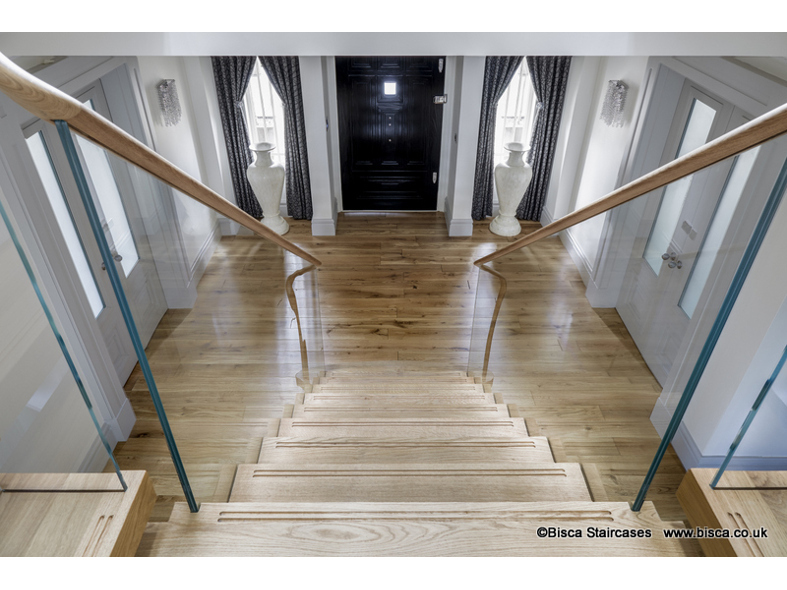 The client was building his own property in West Yorkshire and was looking for a statement staircase for his entrance lobby. 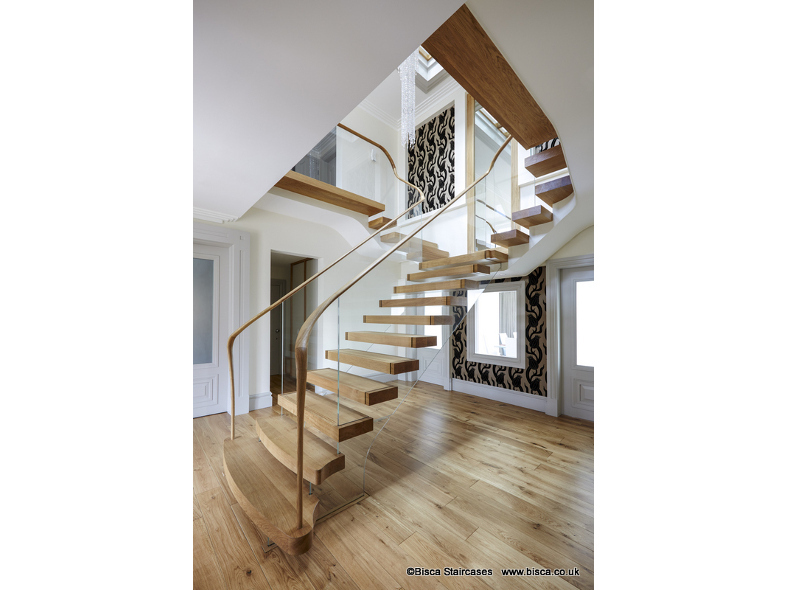 Supported on glass stringers and balustrading, this staircase of figured English Oak and low iron glass takes pride of place in a new build property in West Yorkshire. At the foot of the staircase are flared feature treads and two slim feature newels leading to two shorter flights at the top left or right depending on the direction of travel around the galleried landing. Softly sweeping white plastered soffits blend into the ceiling. 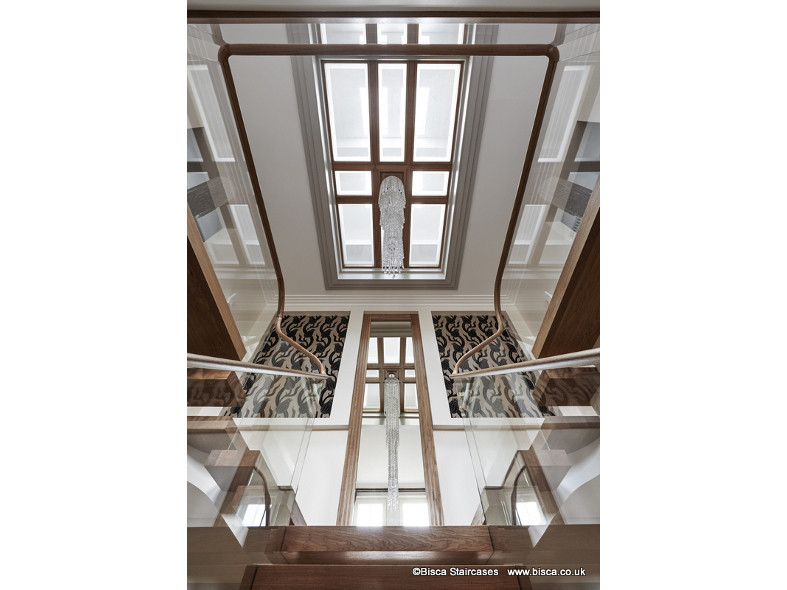 The project also included landing gallery noses, balustrading and a magnificent glass roof to the first floor acting also as a glass floor to the second floor. The large aperture allows light to flood down from the skylight through to ground level lobby. 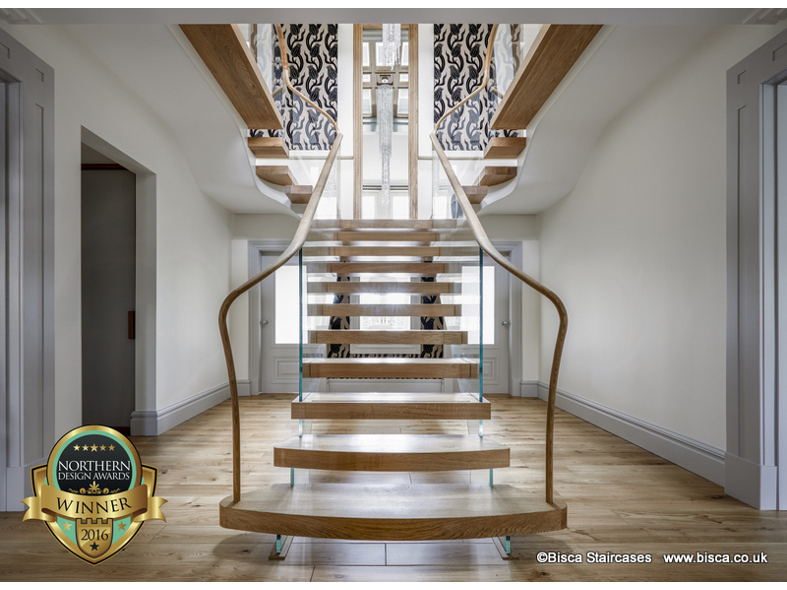 This staircase won Northern Design Award for best product in 2016 when the judges were “blown away” by the attention to detail and the overall design. It remains one of Bisca’s most popular designs. 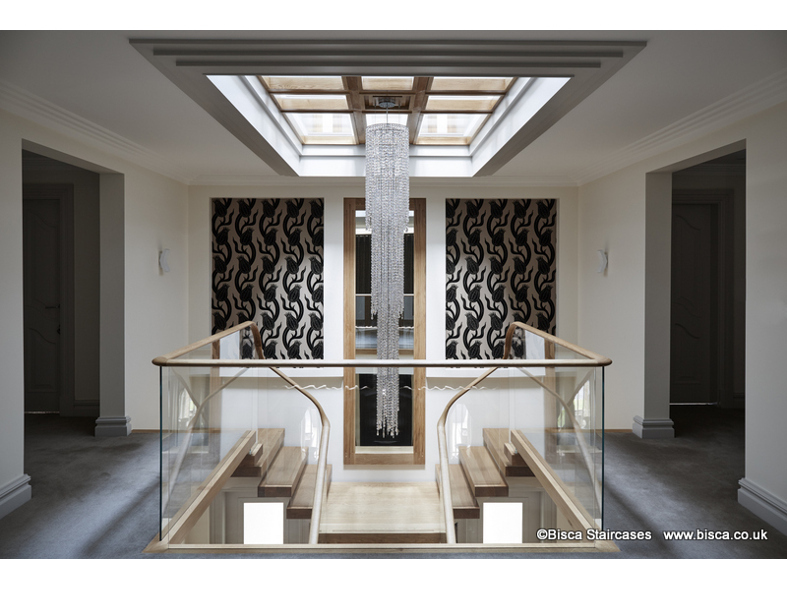 Truly wonderful staircase and roof light – We are so pleased with them. Can’t praise your installation team highly enough; the designers were great to work with, but the team who built and installed it were awesome – true craftsmen. Please pass on our thanks to everyone.